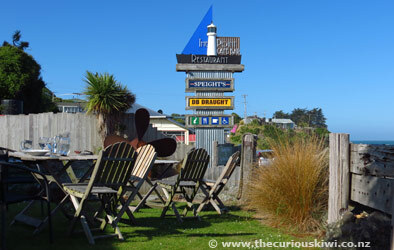 We began our two night Catlins road trip from Invercargill. If you travel this way one of the first things you see to prepare you for the water based wonders ahead are the little whitebait huts along the Mataura River. On our trip the curtains were drawn and the jetties were empty, waiting for the white baiters to arrive in August. 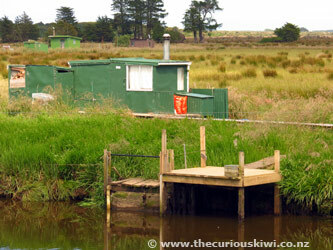 The small settlement of Fortrose sits at the mouth of the Mataura River and marks the start of The Catlins from the southern end. There are public toilets in the camping area by the river, and Stirling Tides Café selling food and petrol. 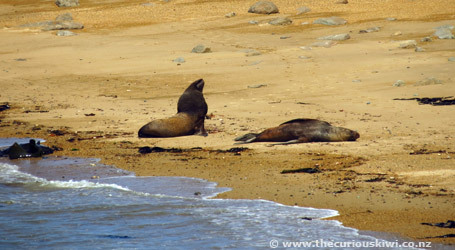 We followed the coast road and turned off to Waipapa Point where it’s common to find sea lions snoozing on the sand. 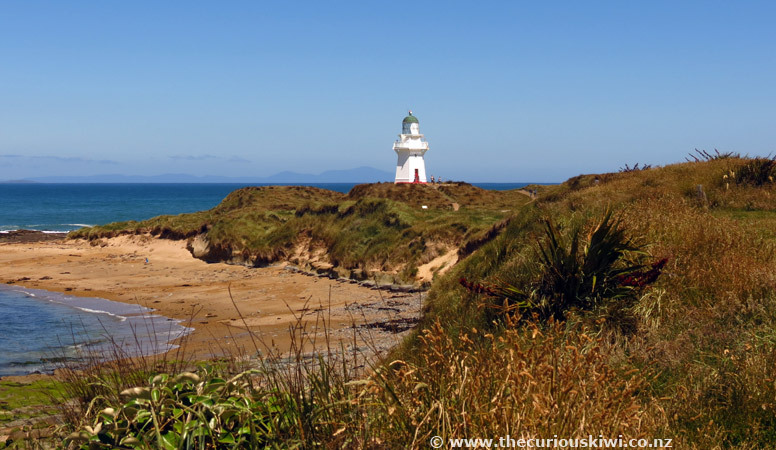 A lighthouse sits on the point, watching over the reef that destroyed the SS Tararua and claimed all but 20 of her 151 Melbourne bound passengers in April 1881. Many of the dead were laid to rest in nearby Tararua Acre. The wooden lighthouse was built after the disaster and the first light shone in January 1884. Our next detour took us to a car park at Slope Point and opposite some of the windswept trees The Catlins are famous for. Chilling southerlies whip along the coast bleaching the tree trunks and branches the colour of bone. The trees have bent permanently north, their branches almost flying out in front of them, reminding me of a row of old men with comb overs out of control. We arrived on what must be a rarity here, a sunny, still day. 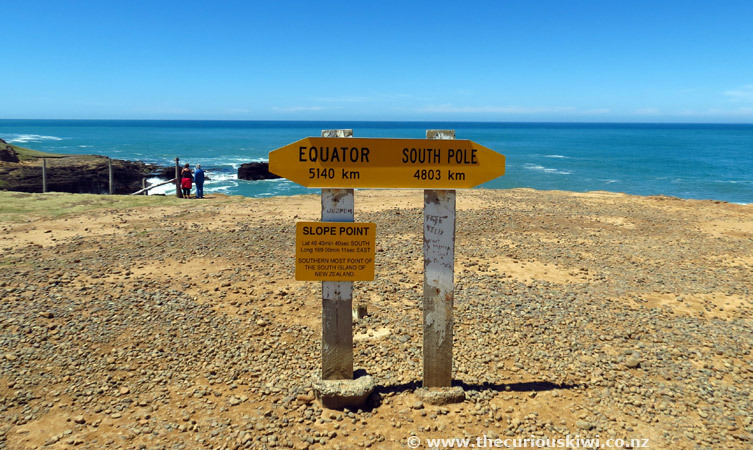 A short walk through farm land took us to a yellow sign noting we were at the southernmost point of the South Island, and 4803kms from the South Pole. Hang on, I’ve stood under the sign in Bluff? Bluff is the southernmost town on the South Island. So where does that leave Oban on Stewart Island? Oban is classified as a settlement, so that’s the southern-mosts sorted, I think. 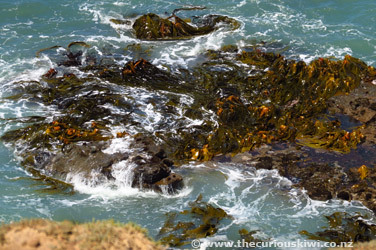 It doesn’t matter, sea weed swishes and swirls below the cliffs at Slope Point like the hair of a thousand mermaids, and the ocean stretches as far as the eye can see, it’s southernmost enough for me. (Note: Access to Slope Point is through private farm land, no access is allowed 1 September – 1 November due to lambing). Just over 10km down the road is Curio Bay, our timing was bang on as the tide* was out. I’m not sure we would recognise a petrified forest unless we were expecting to see one, but as good tourists with map in hand it’s what we were looking for. 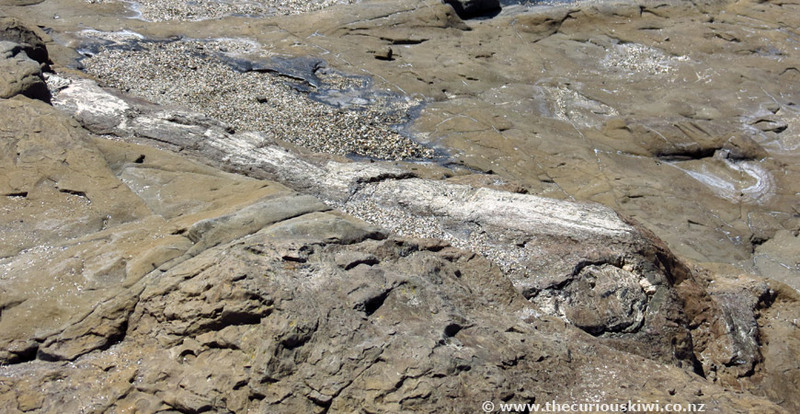 Some of what looks (and feels) like rock at Curio Bay is actually the remains of an ancient forest that was buried under volcanic debris and has turned to stone. We saw logs of wood and tree stumps - forest fossils millions of years in the making. Fossil forests are rare and we’re surprised access isn’t restricted, for now you’re free to roam. A little head bobbing through the rocks caught my eye and our attention turned from petrified wood to another rare sight, a yellow-eyed penguin or hoiho. As someone who loves to spot wildlife, I was quietly excited. For obvious reasons it’s best to keep quiet and keep your distance to let the little birds get where they are going, in this case home to the nest. Day one in The Catlins and we had seen a yellow-eyed penguin, stoked. Take a short drive to sweeping Porpoise Bay and you may see another rare creature, the tiny Hector’s dolphin. We’d spotted the dolphins on a previous trip through the area, but it was still disappointing not to see them playing in the sun. We returned later that evening, ever hopeful. We waited about two hours, and just before sunset the dolphins arrived, they were very active, jumping and twisting out of the water, putting on a short show for those lucky enough to be watching. 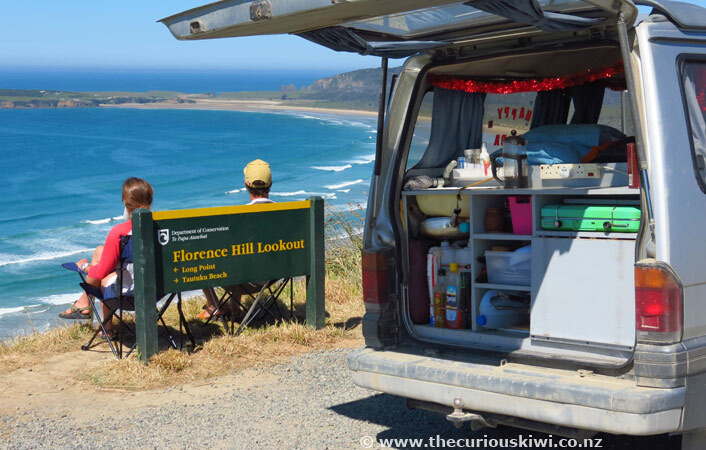 If you’re a wildlife watcher with a day or two to spare you can camp above the beautiful Porpoise Bay at Tumu Toka Curioscape (formerly Curio Bay Holiday Park). Two or so kilometres down the road is the small settlement of Waikawa. 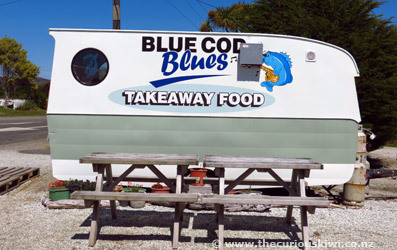 The Blue Cod Blues fish ‘n ’ chip caravan is parked up next to a collection of petrified wood taken from Slope Point. 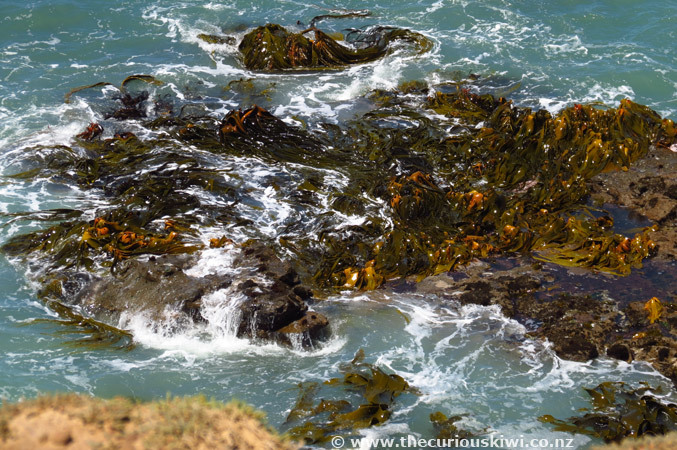 (*A good spot to stop if the tide is high at Curio Bay). I read in the Women of the Catlins book that the Blue Cod Blues caravan is named after the title of a song written by a friend of the owner who has passed away, what a nice way to honour a friend. There are also public toilets, and the Waikawa Museum and Information Center (both closed as we passed through on a public holiday). The charming old school turned Niagra Falls Café/Restaurant is nearby, and was open. 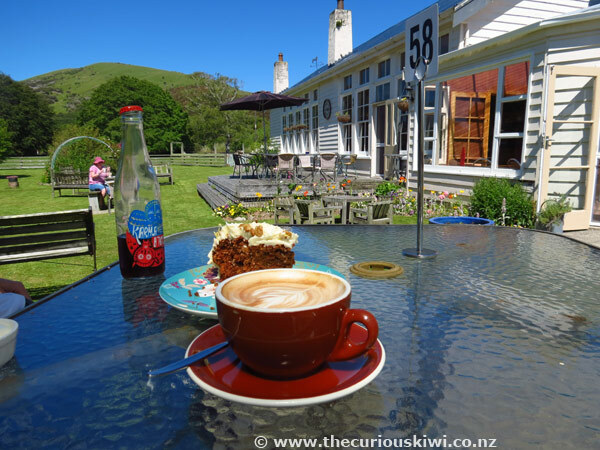 We sat out in the garden with drinks and carrot cake, it’s a good place to break your journey and feels like a place well loved by its owners. Next stop was our accommodation for the night – The Whistling Frog Café & The Catlins Kiwi Holiday Park. 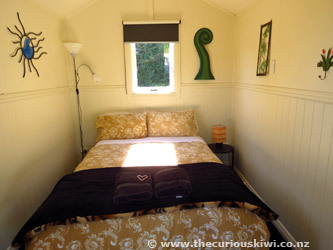 We spent the night in a cute little Kiwiana Cabin and while we really liked the place, we found that they may have whistling frogs but they can also charge like wounded bulls. It was the first time we’ve been charged a surcharge on a public holiday for accommodation – 15% was added to the cost of the $98 cabin. Two “happy hour” beers cost $18.40 ($8 each + surcharge). Feeling ever so slightly fleeced we decided not to dine onsite. After breakfast the next morning we headed down the 3km gravel road from the holiday park to McLean Falls. The walk to the falls takes around 20 minutes each way on a well made track with steps. It’s a good walk to do in the heat of day as there is plenty of shade from the forest. You see The Chute or lower waterfall first, then climb higher to see McLean Falls, we’ll worth the detour we think. (Onsite toilets). We didn’t go to Cathedral Caves nearby, access is only possible at low tide - follow the link for all you need to know. Note there is a $5 charge per adult and $1 per child (take cash, there is no EFTPOS). (The caves are open from late October - May, exact dates will be shown on the website). Pretty little Lake Wilkie was our next stop. 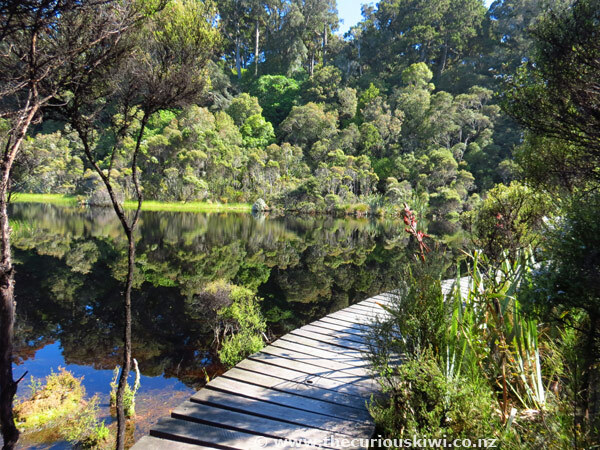 Follow the tree filled trail through the bush to a board walk alongside the lake. It was lovely to see a rata tree blooming, and if you like to take photos of lake reflections this is a good 30 minute return walk to do. Not far down the road is Florence Hill Lookout, sitting above Tautuku Bay. A couple we saw had the right idea – unpack the folding chairs, make some coffee and sit back and enjoy the glorious view. There is a concrete table and chairs there if you don’t have your own. 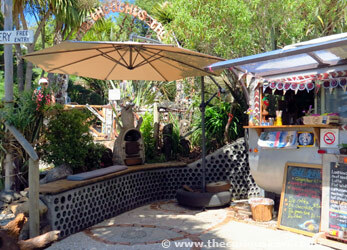 Our next stop was The Little Rocket coffee caravan and The Lost Gypsy Gallery in Papatowhai. Five dollars was well spent in the big green bus that is The Lost Gypsy Gallery so I could walk through The Winding Thoughts Theatre of Sorts. 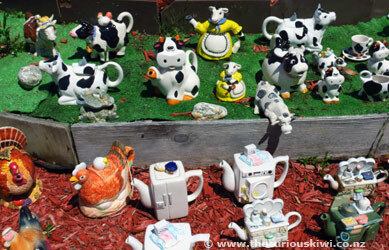 Blair Somerville is the creator of this unusual and whimsical place and he describes himself as an ‘organic mechanic’. 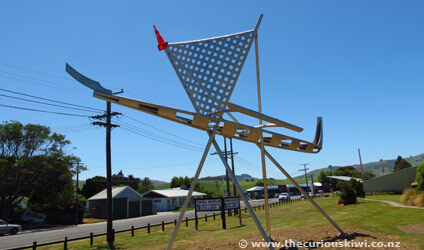 See The Lost Gypsy Gallery in Papatowhai via thecuriouskiwi/blog for more information. 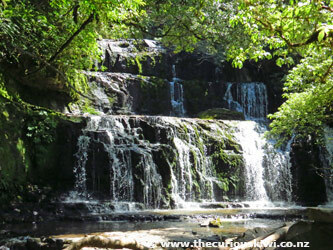 Back on the road, a sign for Purakaunui Falls gave us another reason to stop and stretch our legs. The water tumbles down terraces into a shallow pool, personally we preferred McLean Falls but perhaps we didn’t see it at its best? The walk to the Purakaunui Falls takes around 20 minutes return, the track has plenty of tree cover so it’s another good short walk to do on a hot day. (Onsite toilets). Next stop Owaka – place of the canoe. Traditional Maori waka (canoe) were once built and fixed on the banks of the Owaka and Catlins Rivers. The waka was permanently put in Owaka late 2015 when a stainless steel waka sculpture designed by Russell Beck was erected on the main street. 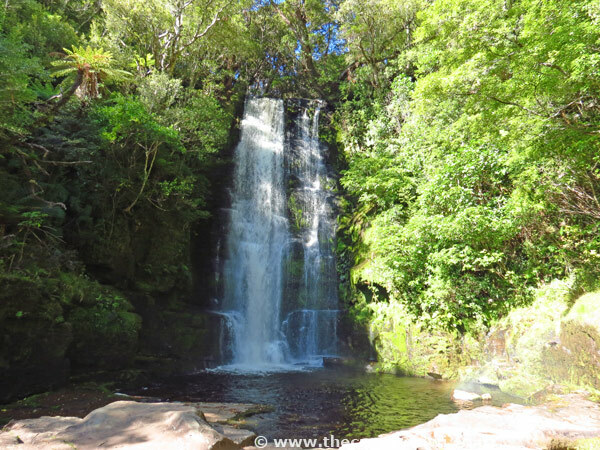 Owaka is the closest The Catlins has to a town and it is home to around 400 people. There is an Information Centre and Museum, Medical Centre and a few places to eat, as well as a service station for fuel. The town also has plenty of tea pots – see Teapot Land in Owaka via thecuriouskiwi/blog. If you’re travelling with children and they like exploring in the garden, Earthlore Insect Theme Park is a good place to visit. We were really impressed with the enthusiasm and knowledge of the owner. 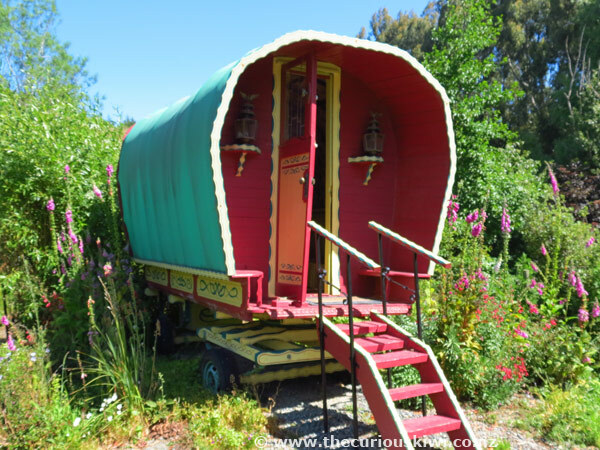 The heat seemed to be keeping a lot of the insects hidden but it was nice listening to the bell birds and tuis in the garden, there’s a sweet gypsy caravan on site too. Admission $7.50 adults, $5 per child under 12. Open: Labour weekend (October) – April 12noon – 7pm, Tuesday – Sunday. 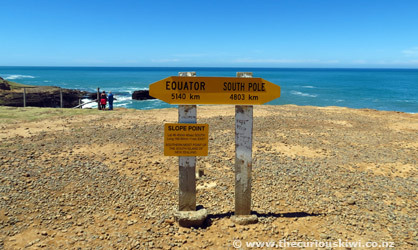 Earthlore is on the road to Jacks Blowhole, a stop we didn’t make on this trip. 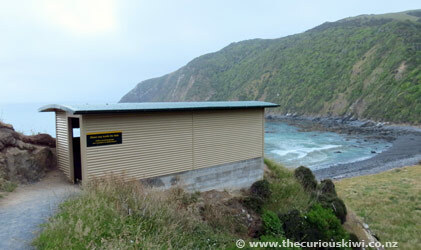 Instead we headed back to Owaka and drove to Surat Bay, the location of the popular Newhaven Holiday Park. We walked around 10 minutes through sand dunes until a golden sandy beach opened out in front of us. We sat down on the sand and watched a seal swimming in the waves. There is a sea lion colony further down the beach, I especially like this photo captured in Surat Bay by offthemainroadnz. 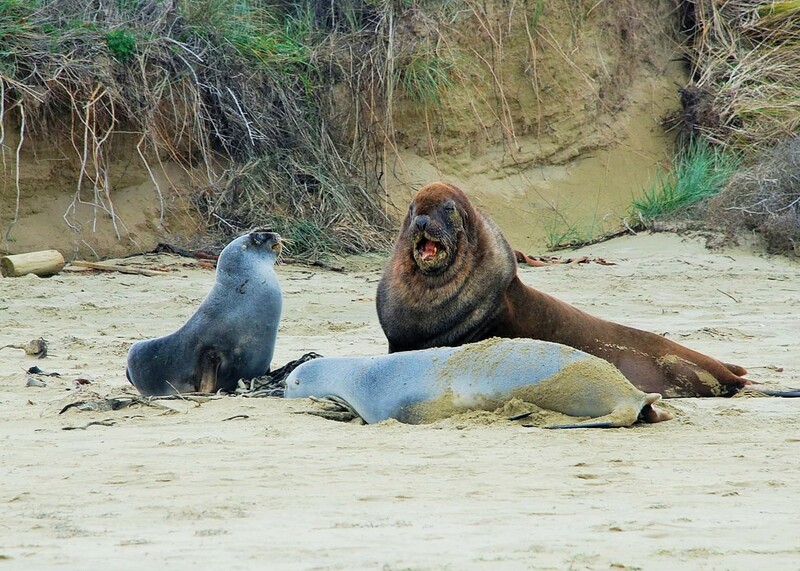 Turns out New Zealand sea lions are a threatened species and there is a New Zealand Sea Lion Trust. We hadn’t pre booked accommodation for the night but fortunately Cardno’s Accommodation in nearby Kaka Point had a vacancy. 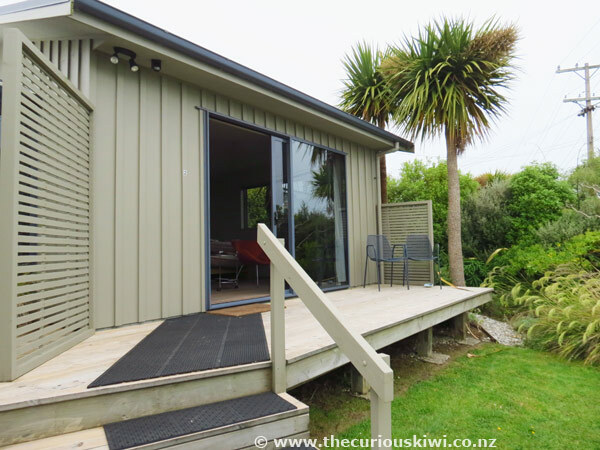 Our modern studio had a ranch slider and sea views out to Nugget Point lighthouse. 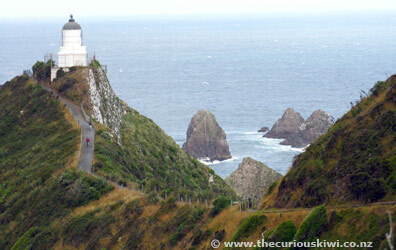 Tip: If you can see the lighthouse at Nugget Point and want a photo, take it. I thought I’d photograph it later but clouds rolled in and stuck around, so later never came. Down the hill from Cardno’s is The Point Café/Bar/Restaurant sitting opposite the water. The interior has some sea themed touches and chunky wooden furniture, we only stayed for a couple of drinks, but really liked the place. 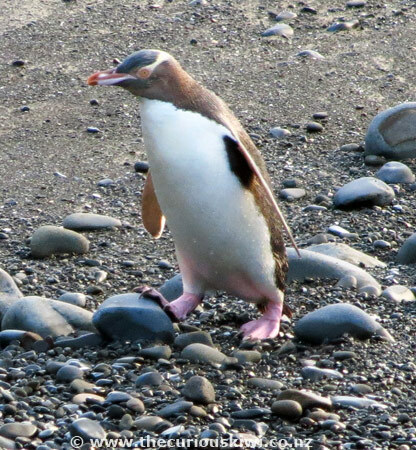 One reason for wild life watchers to spend the night in Kaka Point is the chance to spot the rare hoiho or yellow-eyed penguins from the hide in nearby Roaring Bay. 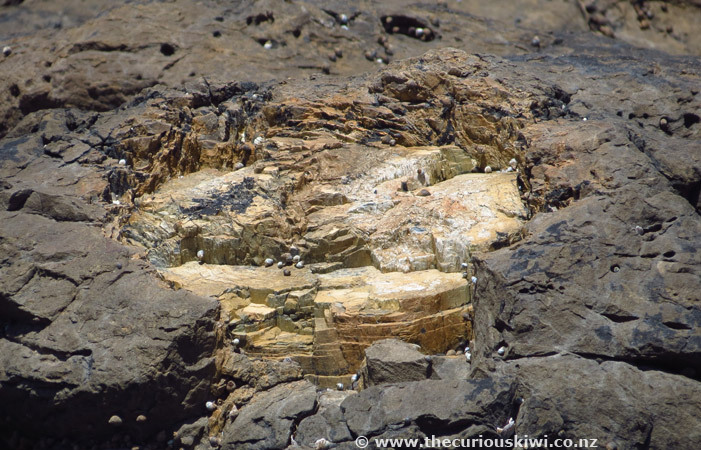 We spent 90 minutes huddled in the hide and saw four penguins wash ashore – see Yellow-eyed penguins in The Catlins via thecuriouskiwi/blog. If you think you might find penguin spotting addictive (as we did), head up the track to the Nugget Point lighthouse first, incase darkness arrives before you do. 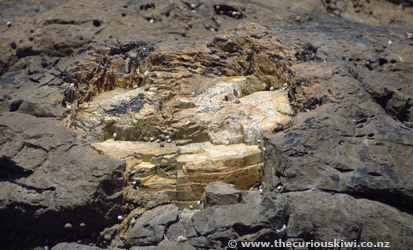 Fur seals, sea lions and Southern elephant seals live down on the rocks, it’s likely you’ll hear them before you see them. When you look out over the nugget shaped rocks that gave Nugget Point its name it’s easy to feel like you’re standing on the edge of the world. You may not be on the edge of the world, but if you started your Catlins road trip in Invercargill, you’re almost at journey’s end. I’m sure I could see our third trip to The Catlins on the distant horizon though, the combination of short walks and wildlife, beautiful beaches and unusual natural landscapes will lure us back to the area again. If you're interested in reading about women who call The Catlins home I recommend Women of the Catlins written by Diana Noonan and Cris Antona. Visit an i-SITE and pick up a visitors guide, we used 'The Catlins New Zealand' (purple cover). 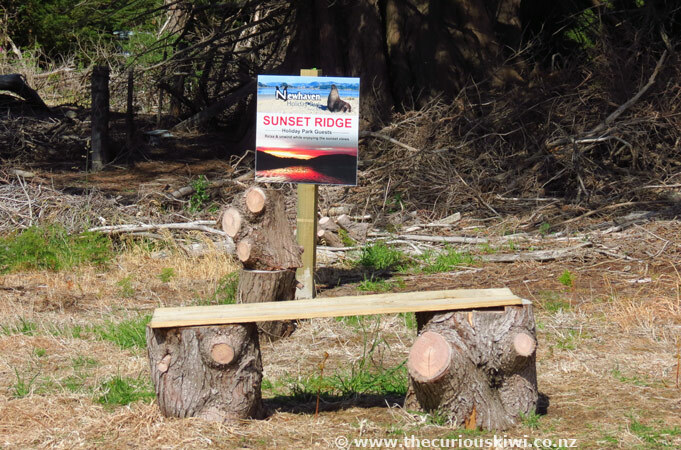 Southern Scenic Route information and a Catlins map. Set out with a full tank of petrol so you're not worried about running out, Fortrose and Owaka are two places you can fill up. You will drive down some gravel roads, they're easily managed if you reduce your speed. 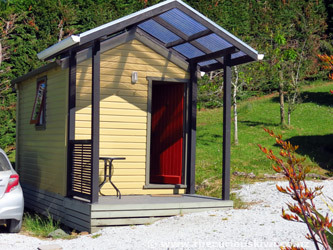 Take the chance to have a technology free holiday because cell reception will be patchy. Keep your distance from wildlife, penguins are easily stressed, the penguin hide in Roaring Bay near Nugget Point is an ideal place for penguin watching as it's high up off the beach. Seals and sea lions may look cumbersome but they can move a lot faster than you may think, give them plenty of space and don't get between them and the sea. Pack some snacks and take water for the trip as there aren't a lot of cafes or shops in The Catlins. If you're staying over the New Zealand Christmas holiday season book accommodation in advance if you can. Pack for all types of weather, just incase. Sun is brutal in New Zealand, pack sunscreen and cover up. Binoculars are handy for wildlife spotting. It's likely you'll need a camera with a zoom lens for wildlife photography. A torch would come in useful at Cathedral Caves, and for lack of external lighting at night. Take some cash with you, there is no EFTPOS at Cathedral Caves and some food options may not have it either. The Lost Gypsy Gallery in Papatowhai is closed Wednesdays through summer, and every day over winter. The gallery is one of The Catlin's highlights so try not to turn up on a Wednesday. Wear flat comfortable shoes for the short walks. There are some beautiful beaches in The Catlins, pack swim wear. You can drive through the area in a day, but stay a couple of days if you can, I doubt you'll regret it. Some of The Catlin's treasures require short detours and short walks, so allowing a few days in the area gives you time to take everything in. Some really great tips like taking binoculars & a torch that I would have not thought to do but which will make a big difference I'm sure. Thanks! Admin: You're welcome, I don't have one but I've been recommended a torch on a headband so your hands are free, although I think I'd get dizzy moving my head around all the time, especially in a cave. There's also a flashlight app for phones that can come in handy if you forget to take a torch. Enjoy your trip through The Catlins, I think it's a wonderful area, especially if you like wildlife and 'getting away from it all'. Thank you for your review great ideas, we are about to visit the Catlins and all your info looks to help immensely. Admin: You're welcome, and you are in for a treat, especially if you like wildlife. Seeing yellow eyed penguins was a highlight for me, and the Catlins is also a scenically beautiful area. Hope you love the trip as much as we did - happy travels.